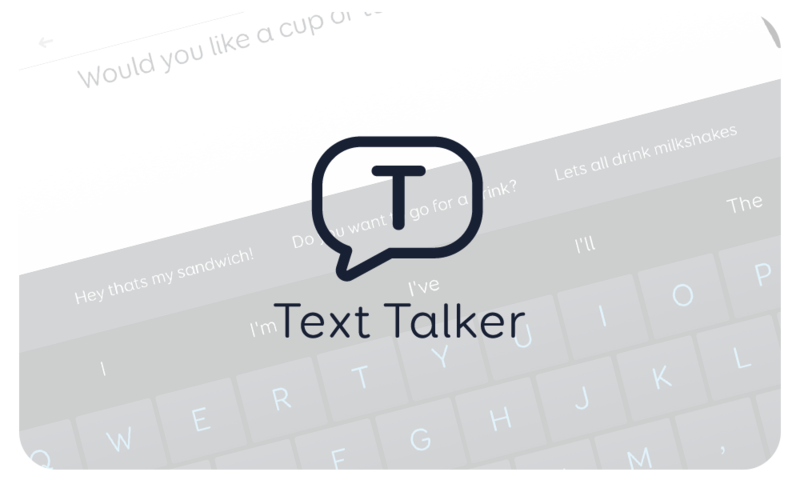 Text talker is a powerful grid set full of the latest technology for text communication. Quickly generate messages in the moment and prepare for conversations in advance. 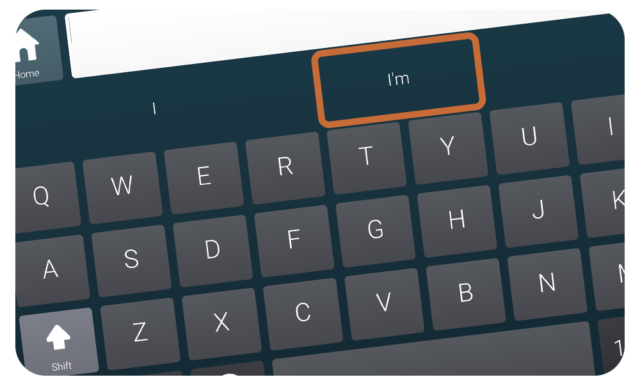 Text talker is more than just a text-to-speech keyboard. The grid set combines a series of innovative features to make communication for literate users intuitive. Getting your message across is more efficient than ever with Text Talker. The powerful SwiftKey prediction tools also help to increase your rate of communication through word completion, word prediction, and by auto-correcting typing errors. 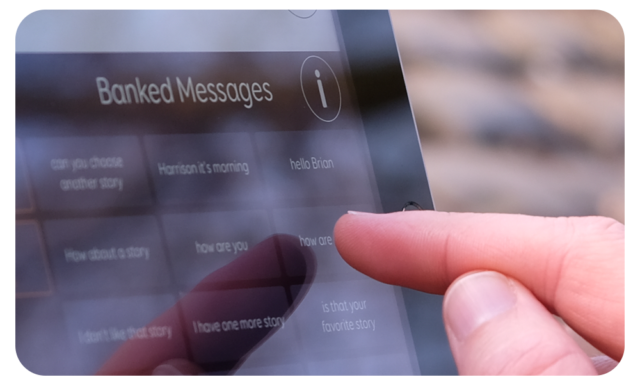 Our patented Chat History technology means everything you say with Text Talker is remembered, and can be spoken again with just a few selections. Just start typing a keyword, and related messages will appear below the sentence bar. 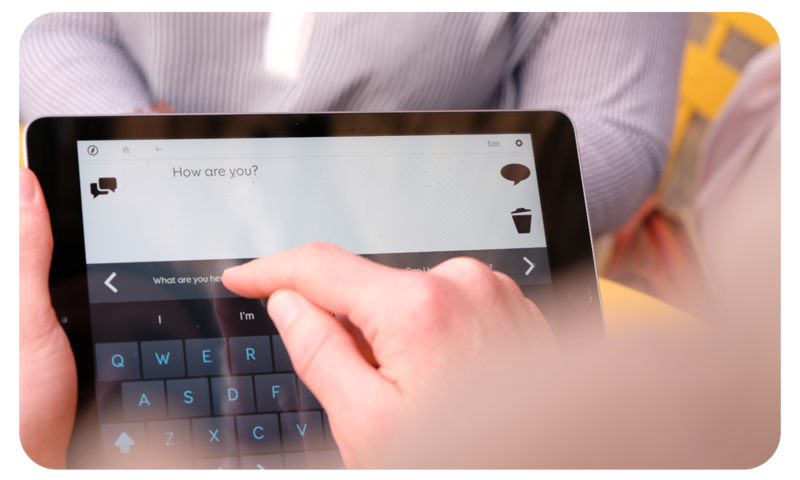 Chat History will always suggest phrases based on when and where you last said something – using our integrated location aware technology. Turn on private mode to keep your messages from appearing in Chat history. Quickly speak pre-stored phrases for common situations and interactions, without typing. 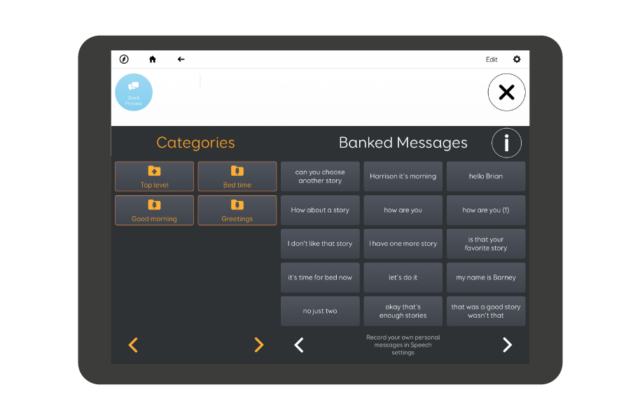 It also includes ready-made grids for Message Banking, enabling people who still have some speech to capture it and recall it from within the app. You’ll find space to create your own ready-made phrases and categories. Text talker enables you to switch between conversations with ease. Text Talker is our recommended grid set for text communication on Grid for iPad. Find out more about Grid for iPad, and try out Text Talker with our 30-day free trial. 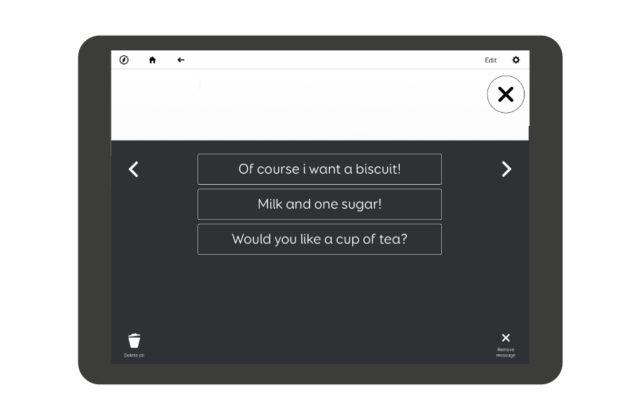 If you use Grid 3 on a Windows device, or access a computer using switch, pointer or eye gaze we recommend trying Fast Talker 3. 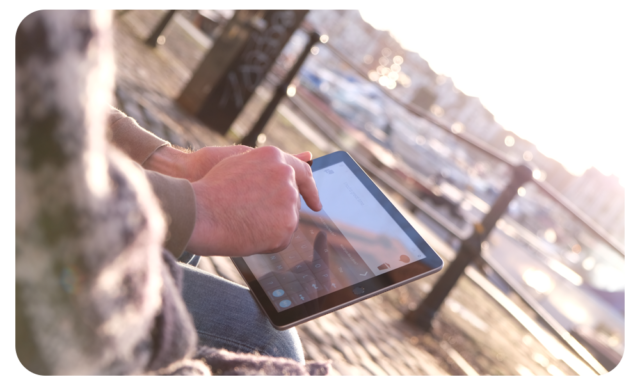 Included with Grid 3, Fast Talker 3 provides powerful tools for text-based communication, alongside accessible apps for Facebook, Twitter, SMS and much more.